SCORPION- Liquid Hand wash adopes unique formula in action of killing germs and disinfecting the hands, will leaves a pleasant Freshness and Silky feel. We are offering a wide range of Liquid Hand Wash to our valuable customers. 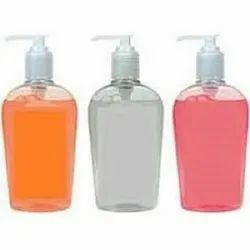 These Liquid Hand Wash are Suitable for the entire family and public places, protects the hands against bacteria attack. This hand wash contains a unique blend of mild cleansers protecting skin from excess dryness. With the assistance of our dedicated professionals, we are able to offer a wide range of Hand Wash Liquid Soap to our patrons. This Hand Wash Liquid Soap is mild, ph balanced, moisturizing, anti bacterial and for general purpose use. This product is offered is variety of fragrances and in multiple packaging options. 100% Pure & Natural . Chemical Free . Inspired by Nature Our handmade soaps are natural cleanser which makes skin fairer. They are unique and wonderful. Unlike commercial soaps no harsh chemicals are used. They are 100% safe & natural, even your baby will vouch for it. we infuse the finest quality herbs, fruit ext., kokum butter & essential oils.